Historical Fiction: Can It Help Us Understand the Past? 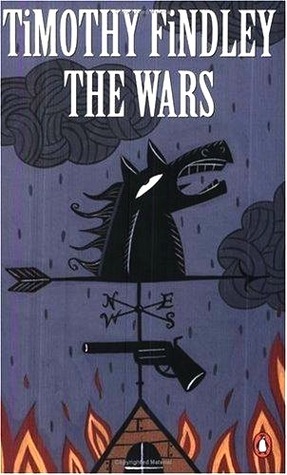 Cover for Timothy Findley’s The Wars. – Timothy Findley, The Wars. This passage is taken from Timothy Findley’s famous novel about the experiences of one Canadian officer in the First World War, nineteen-year-old Robert Ross. Seeking escape from the grief of his sister’s death and oppressive upper-class social mores, Ross enlists in the army and is unwittingly drawn into what would become one of the largest – and bloodiest – conflicts in history. 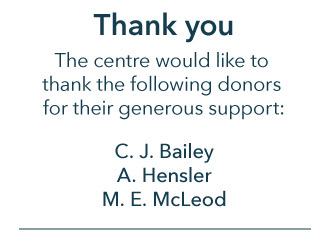 Seeing as our curator is away at museum boot camp and has passed down blog duties to me this week, I thought I would take us on a slight detour and say a few words on Canadian historical fiction related to WW1, and how these works are powerful learning tools for anyone interested in knowing more about the First World War. Findley’s work charts the experiences of a privileged young Canadian through the horrors of war; Joseph Boyden’s novel, Three Day Road, on the other hand, explores the consequences of war on First Nations, a topic often sorely lacking in official histories. Boyden’s protagonists grapple with maintaining their indigenous cultural identities against the backdrop of WW1 and modernity. The tremendous sense of loss and tragedy felt by Newfoundland after the war and epitomized in the destruction at Beaumont-Hamel during the Battle of the Somme, is depicted in Linda Abbot’s novel, The Tin Triangle. Still an independent country in 1914, the wartime experiences of Newfoundland differed from that of Canadians. Taken together, these novels demonstrate the variance and complexity of the Canadian experience – and thus, remembrance – of the First World War. Such plurality is often absent from the official historical record. Even academic historians will use their imaginations to ‘fill in the gaps’ left by historical documents to write cohesive narratives about the past. Historian Hayden White dubs this the “historical imagination”, arguing that historians rely on the narrative strategies of literary writers in performing their craft of recreating the past. This is not to say that facts aren’t important, they are. Facts provide us with context, scale, and argument. The power of historical fiction lies in its imaginative potential. Its ability to recreate the inner life worlds of those long dead so that we can better empathize with them in the present. In thinking about the First World War, and the ways in which it is meaningful in people’s lives today, the sentiment of Timothy Findley’s The Wars quote rings true: imagination may play liberally with dates and even facts, but it also evokes a sense of oneness with those who lived before, an idea that those who served in WW1 were indeed human beings. Please forward this along with “Lest we forget” to the (expletive deleted) members of the Montreal and Outremont councils. Thank you for your comment Ken. 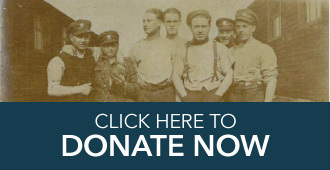 The Vimy Foundation is running a petition that you can sign that will be sent to the Mayor of Montreal.